Three Primers You Need For The Upcoming Winter Months. | By Millie. Three Primers You Need For The Upcoming Winter Months. I looove me a primer. Even on the most minimal of makeup days, I will always reach for primer or two. 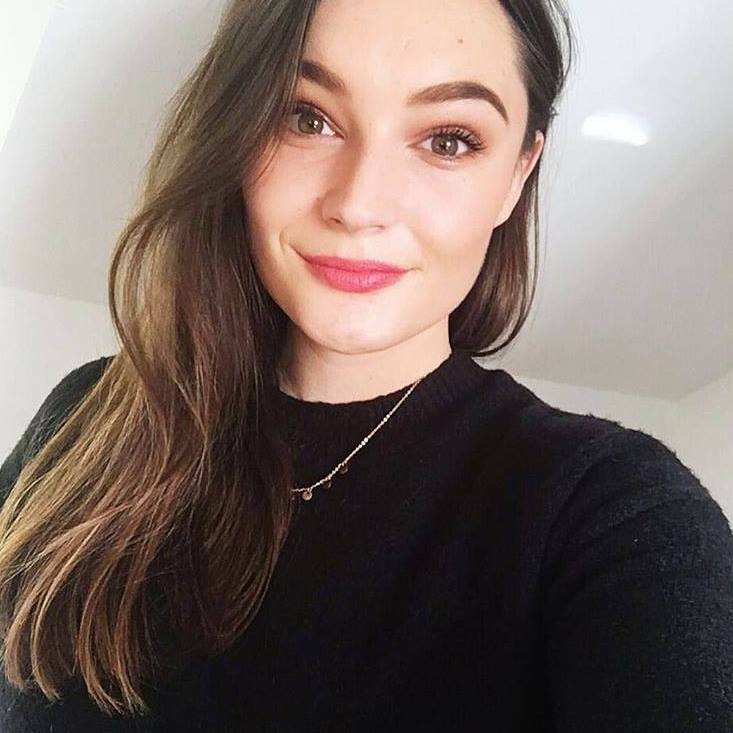 Not so much to make sure my makeup doesn't diminish into a state of nothingness throughout the day - although that definitely is a bonus - but to make my skin look a little better without piling on the foundation. In winter, I will always grab for those dewy primers which give you that amazing supermodel glowing skin in about two seconds. They are the bees knees, am I right?! I just feel like a bucketload of glow is exactly what my skin needs when it's looking lacklustre and dull. I have three primer options which I want to share with you today. All of which are very 'winter skin' appropriate, and can even be layered on those days you're feeling a bit extra. The first is one I love to transition from those warm summer days where a good ol' tan is on the cards - aaa, how I miss thee - into the cold days where you can't tell where my white socks end, and my legs start...pale girl problems, eh? So, on days when I'm feeling hella pale - aka all the time - I will reach for my This Works Perfect Look Skin Miracle. This adds a nice warm glow, without giving off Wotsist vibes. It is also fab at evening out the tone of my skin, therefore spending less time on foundation and concealer. Winner. If you don't wear a lot of makeup, this is a great option as it's such a simple product to use, but makes a big difference. It's also surprisingly hydrating for a bronzing primer, which is such a bonus during the cold months. If you're after a primer which is going to smooth over any imperfections and add a slight dose of radiance, the NARS Radiance Primer has you covered. When I think of a radiance primer, I think of a product which contains quite a lot of shimmer, or has a very evident champagne or golden glow. This however, doesn't have either of those properties, but still does a fantastic job a brightening the complexion. It's peachy in colour, so is great for sallow skin, and I always love to layer this up with something either pore minimising, or one which adds even more of a glow, like the one I'm going to mention next. If you haven't tried NARS base products before, where have you been??? They're some of the best on the market! And a little tip if you're a student...you can pick NARS up on ASOS, so you can get a cheeky little discount with Unidays. Last but not least, we have the Charlotte Tilbury Wonder Glow. Now this stuff IS evidently glowing and gives your skin a gorgeous lit from within look. I don't find this the most glowy primer in the whole world. Sorry to break it to you. BUT I do really love the subtle natural dew this gives off. Under foundation it looks stunning, and like you have a super nourished, gorgeous complexion. So, there we have it. 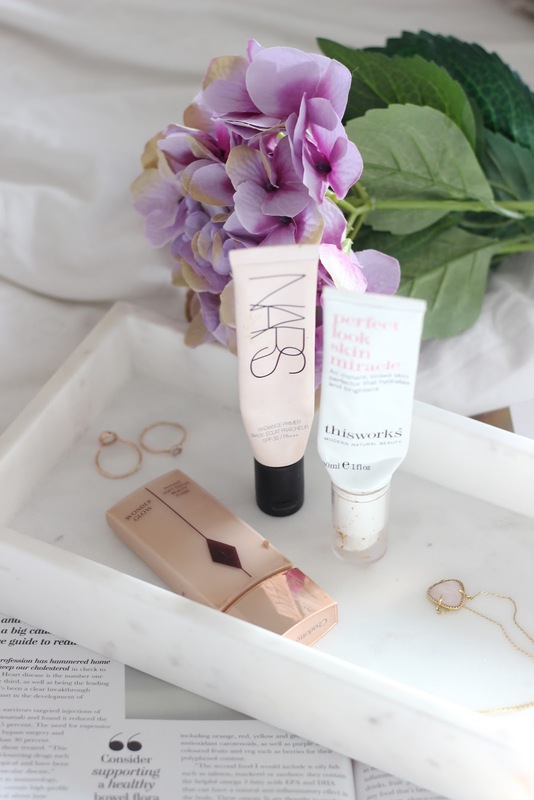 A little run-down of some priming products I'm loving at the moment. Hopefully there's something for everyone here. A little honourable mention to Benefit Porefessional if you suffer with larger pores! Soz I didn't photograph this, I completely forgot about this little bottle of wonder, but it's great. Winter Skin Prep With L'Occitane.